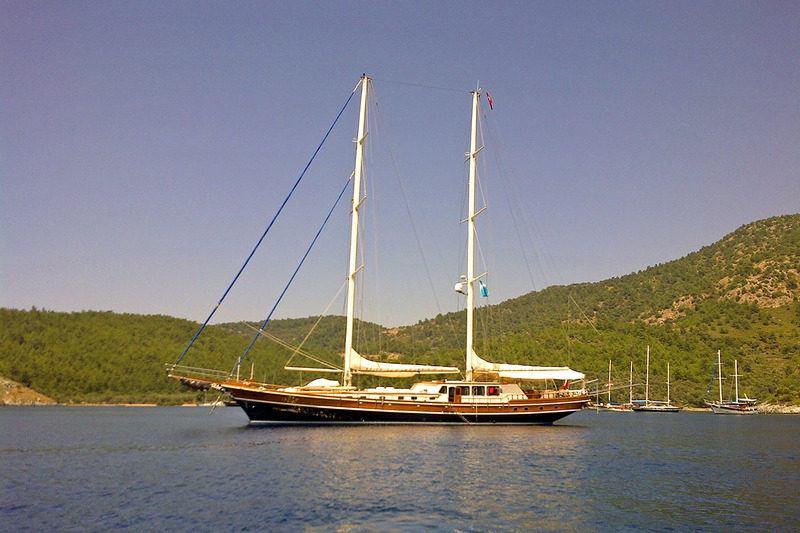 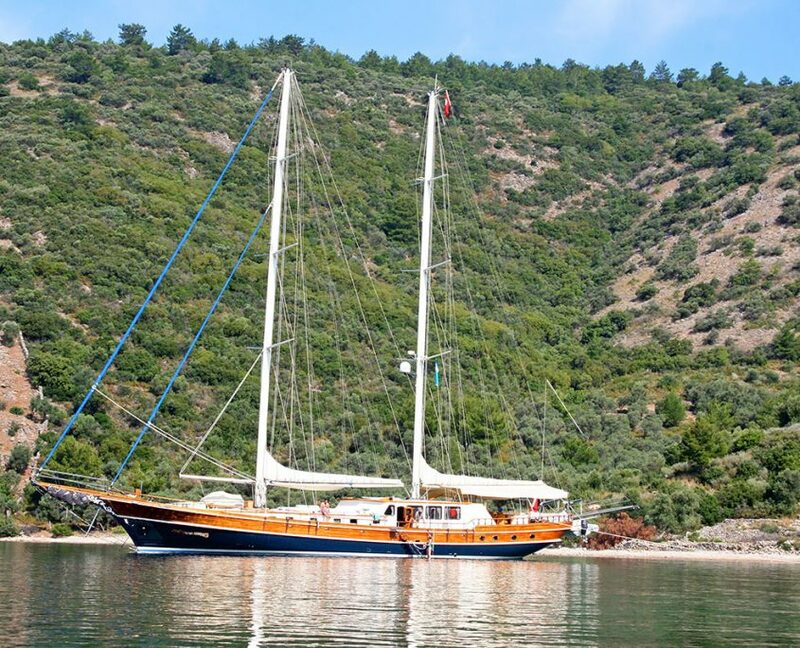 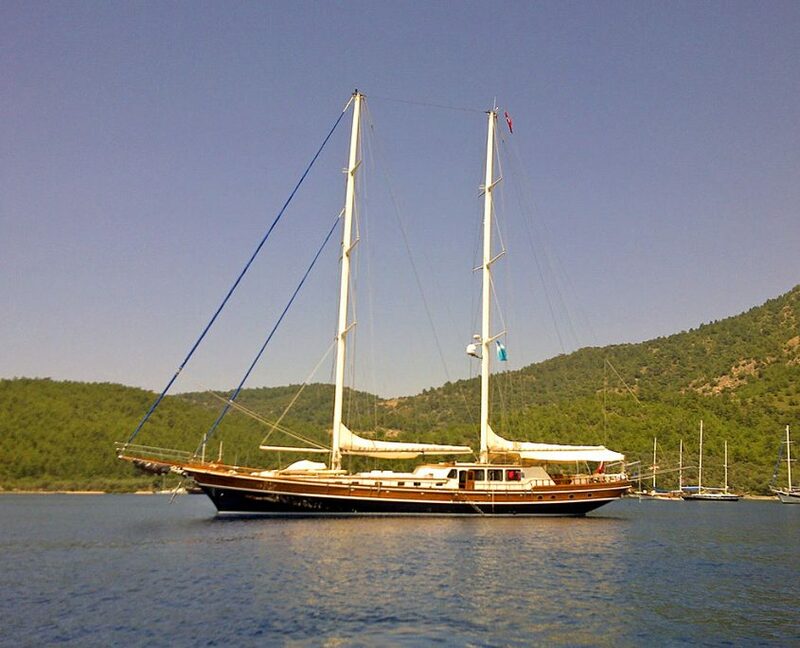 Kaya Guneri IV is an elegant 34.6 meter long charter gulet, a fine example of a traditional Bodrum-style schooner. 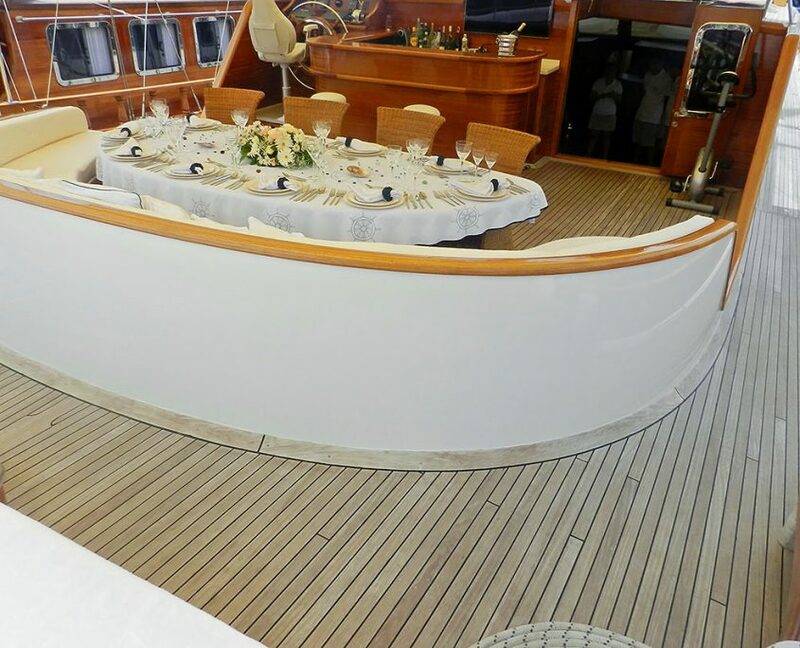 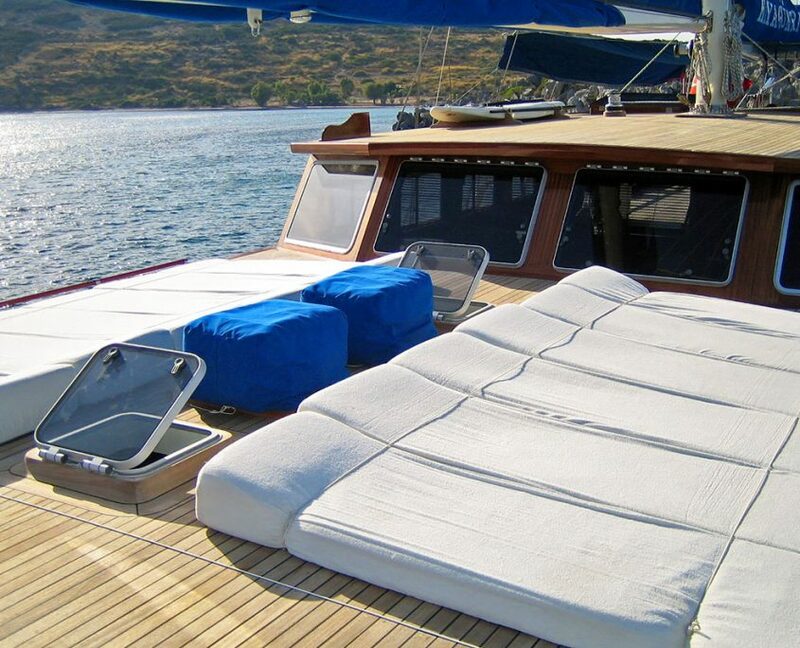 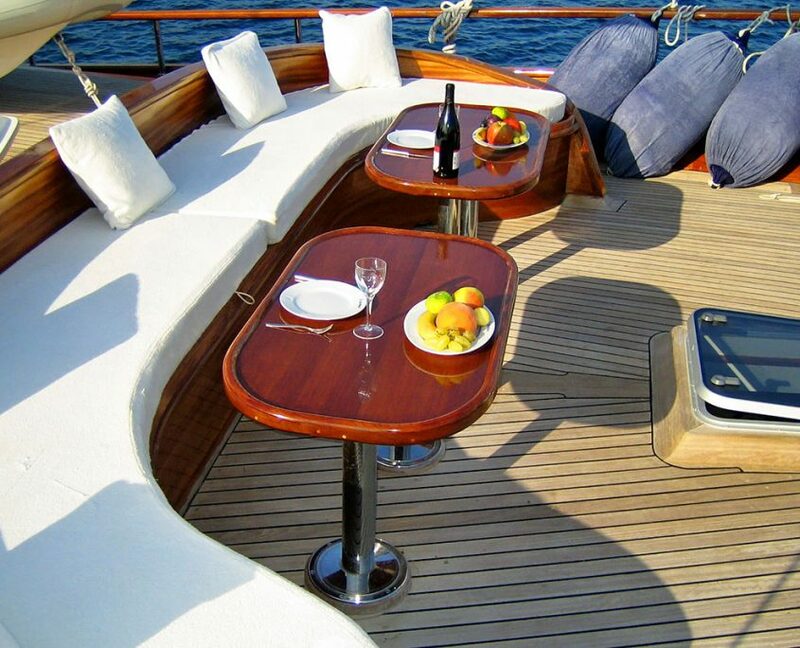 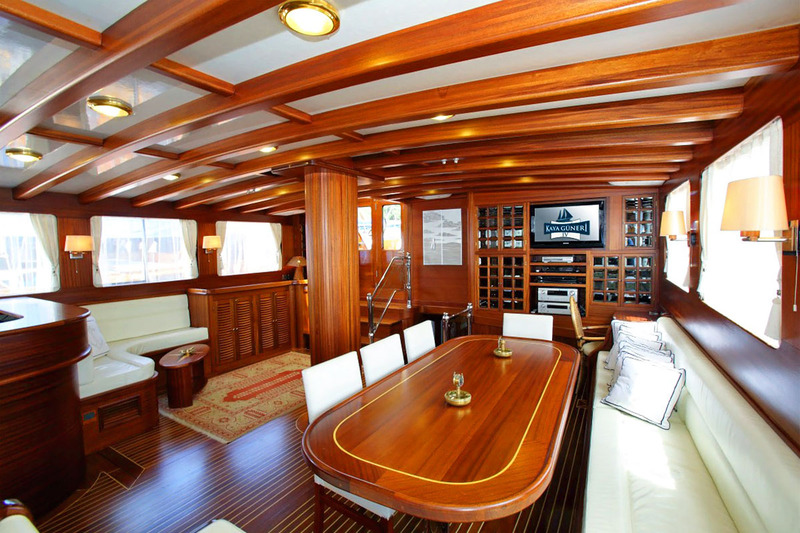 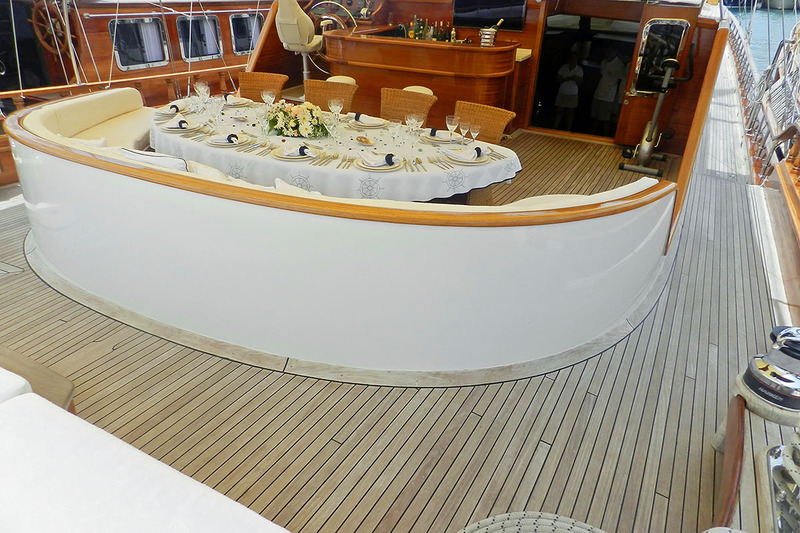 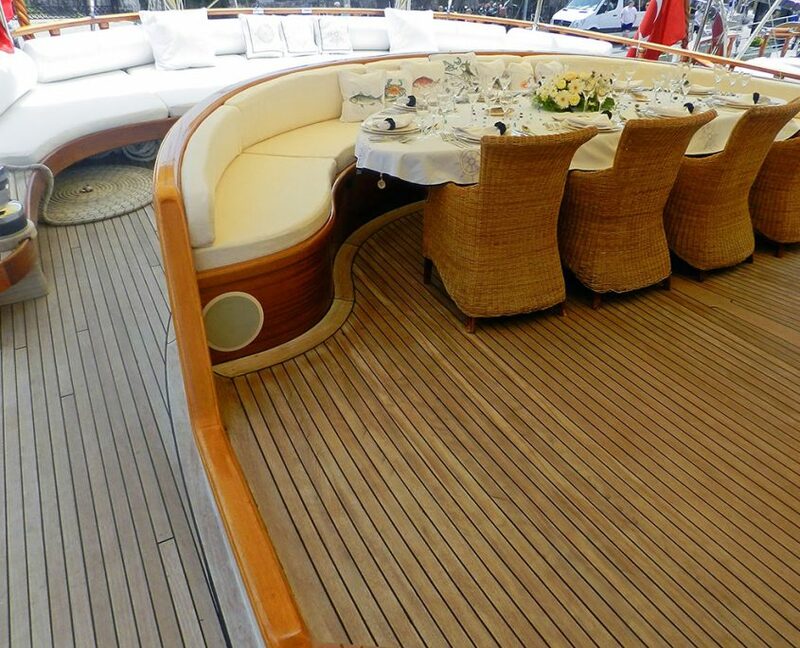 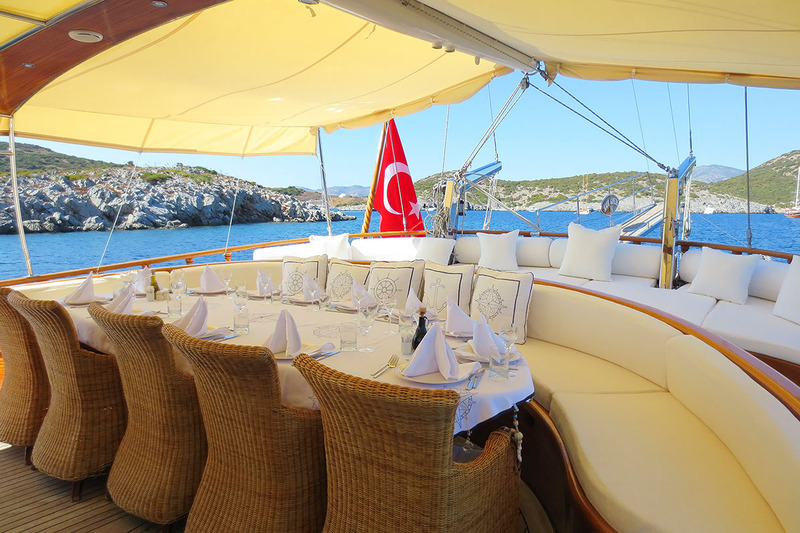 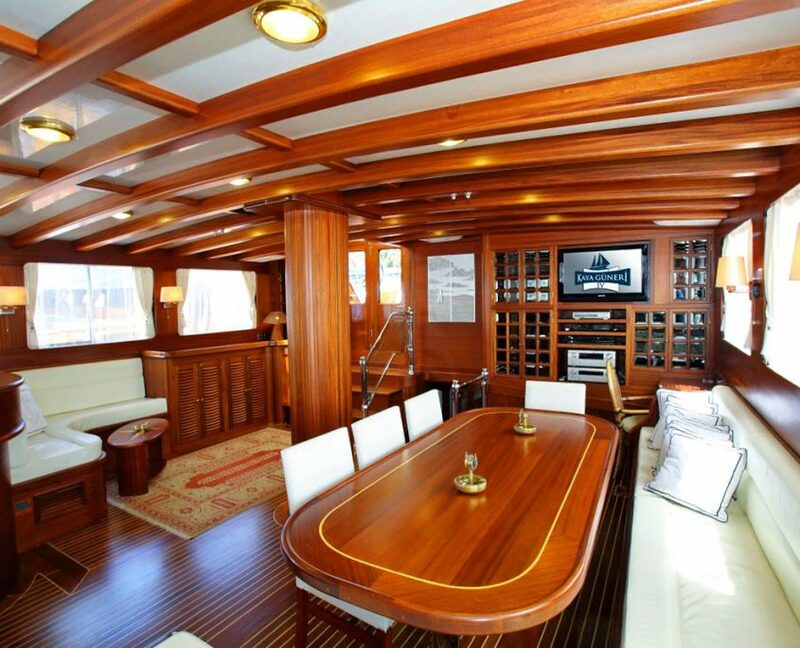 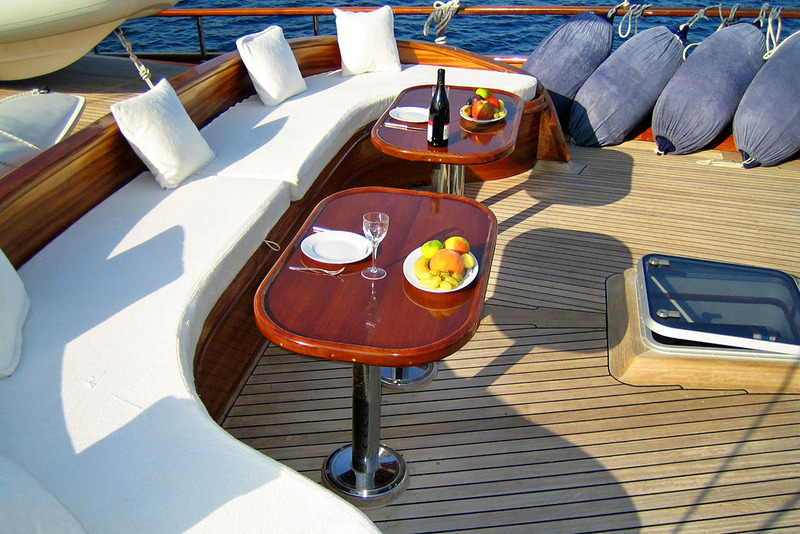 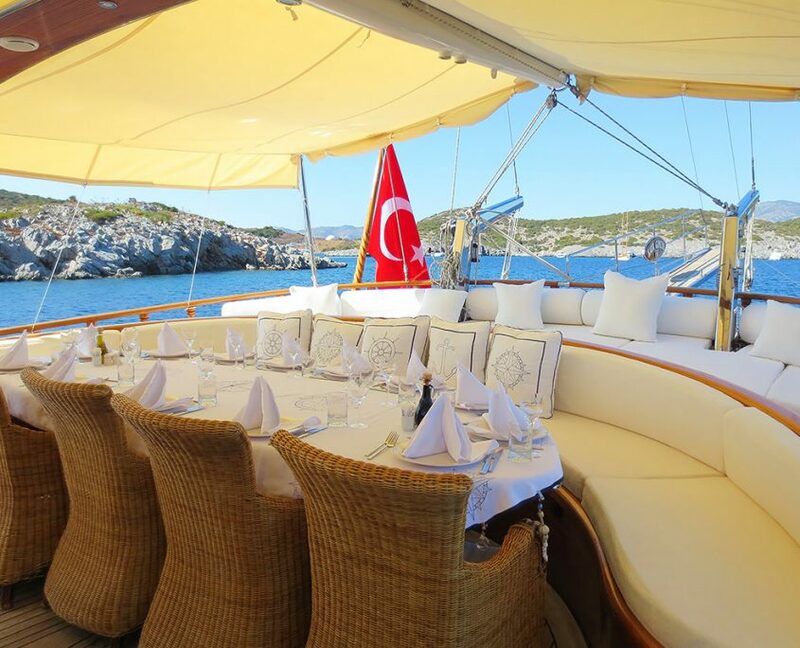 As typical with Bodrum gulets, the aft deck is ideal for entertaining, with a large dining table seating up to 12 charter guests, and a popular large cushioned area aft for relaxation. 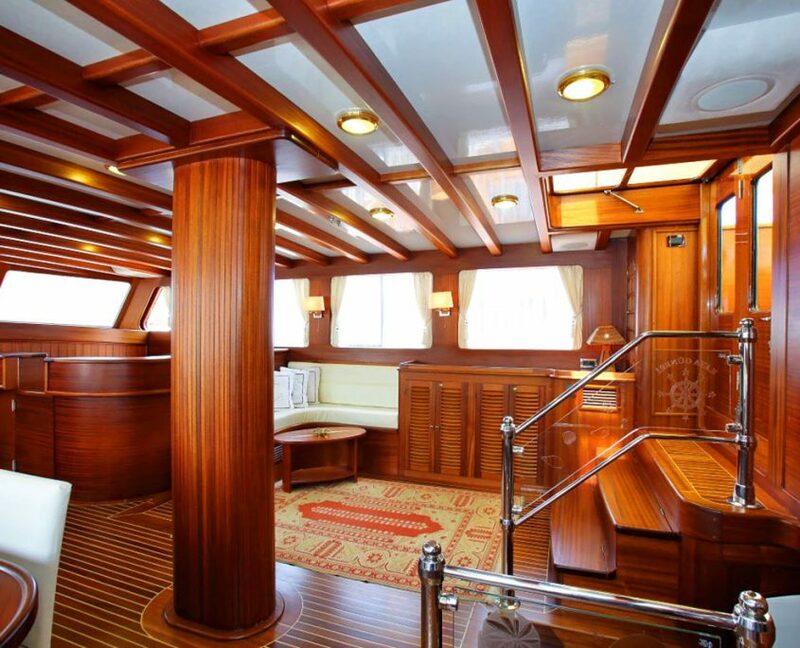 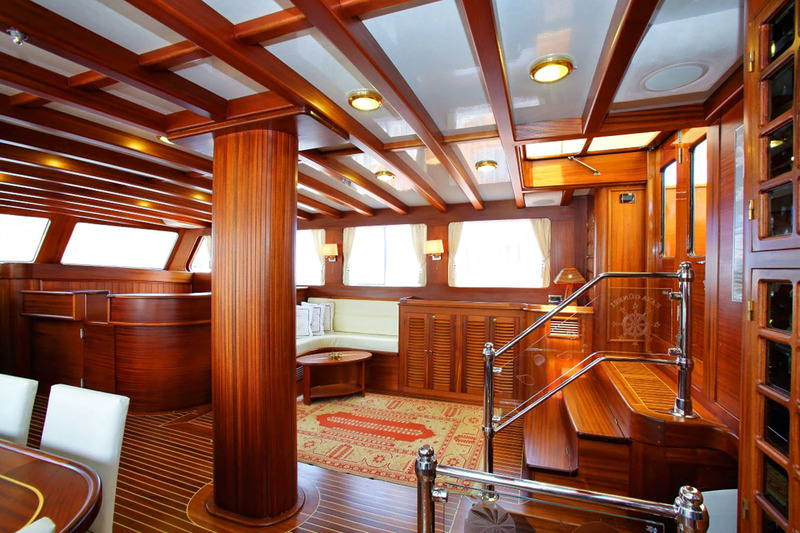 A close imprint of her newer sistership, KAYA GUNERI V, inside is warm and refined, with classic mahogany panelling and a modern interpretation of the nautical theme. 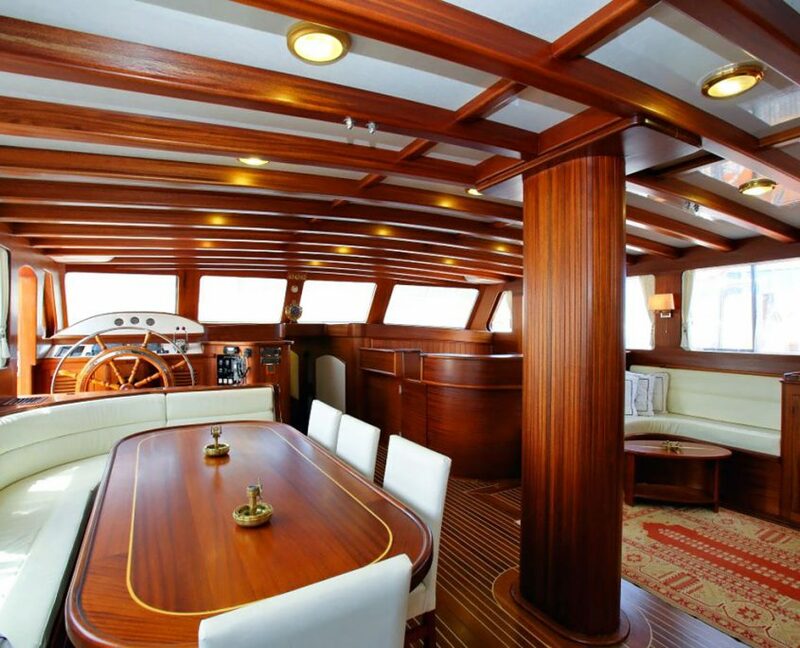 The air-conditioned saloon has another large dining table, and lounge area with LCD TV. 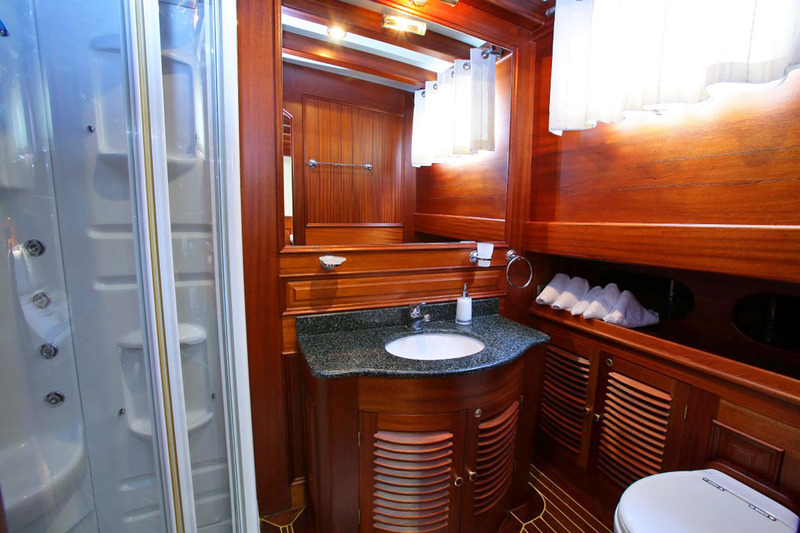 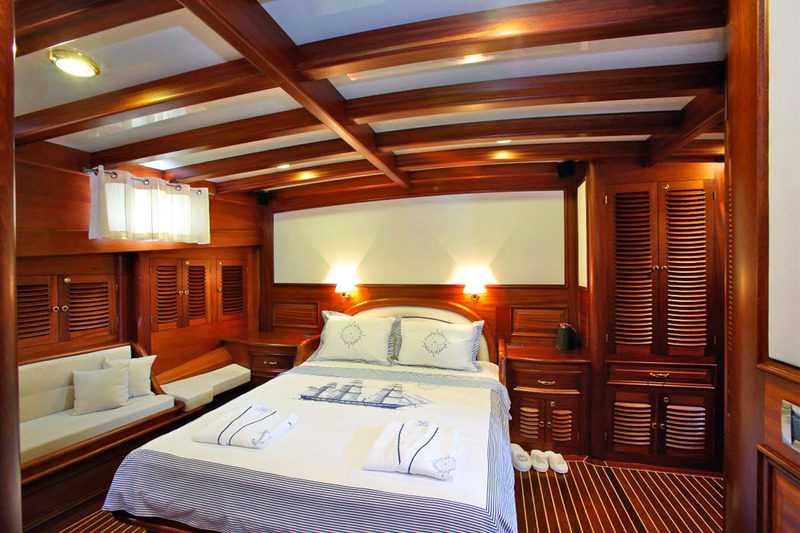 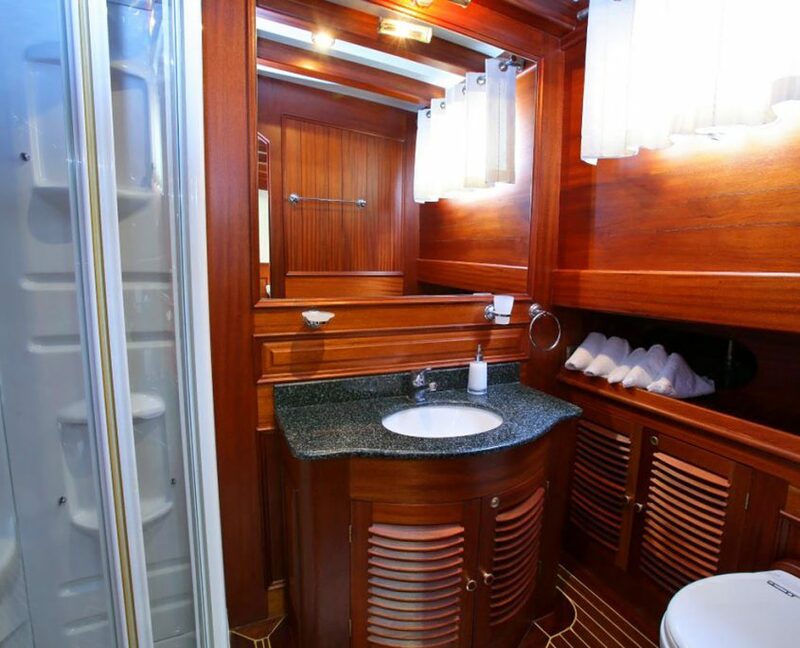 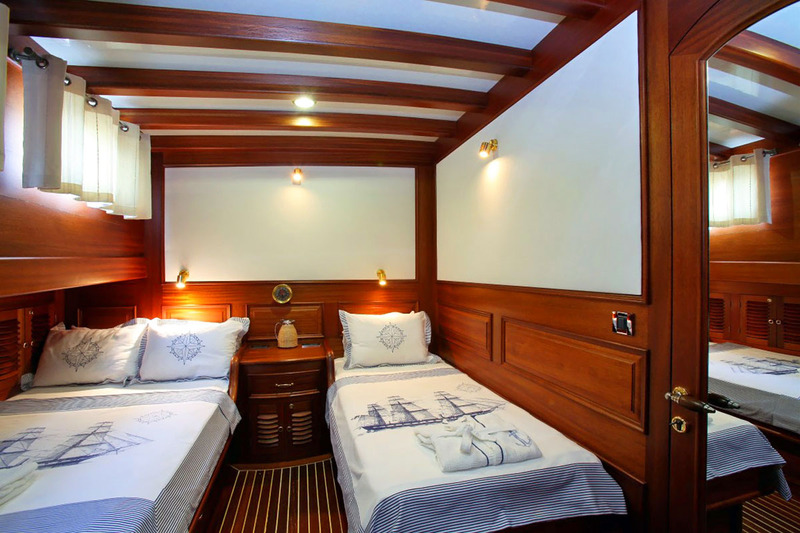 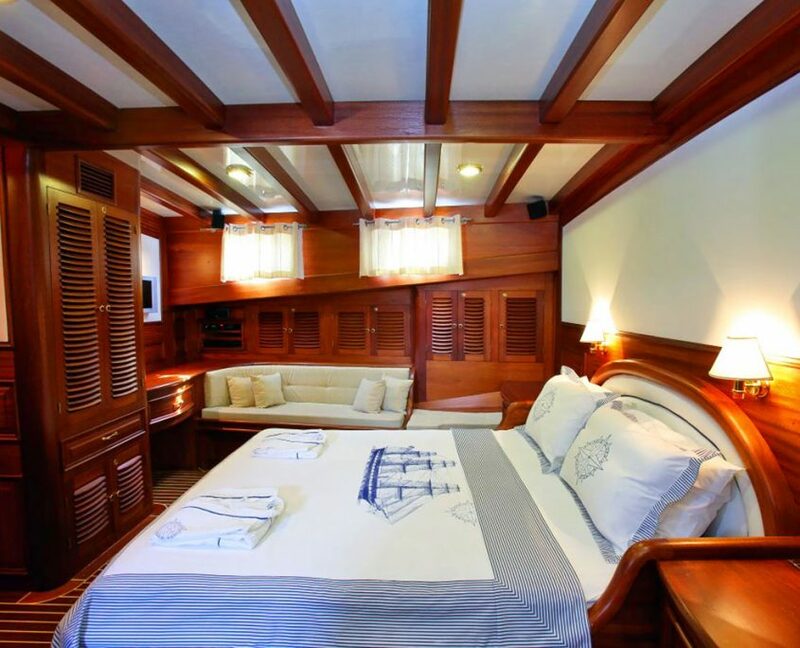 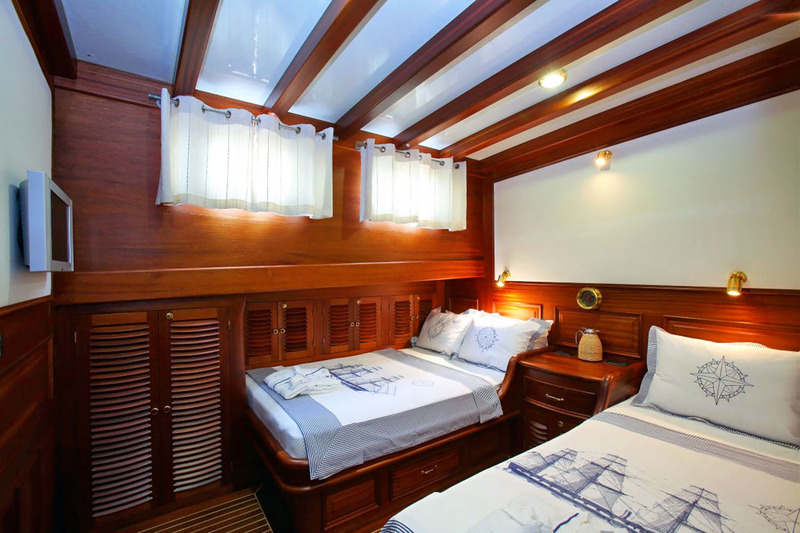 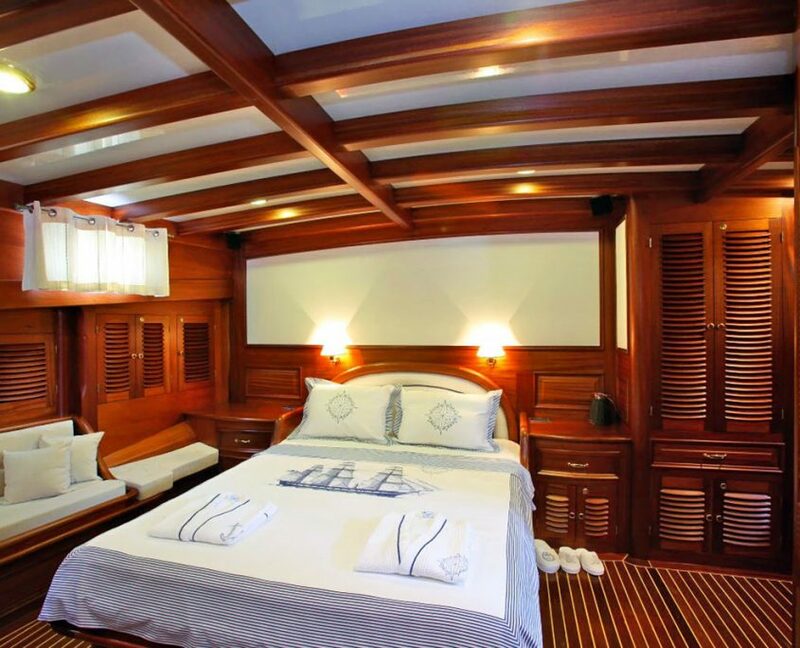 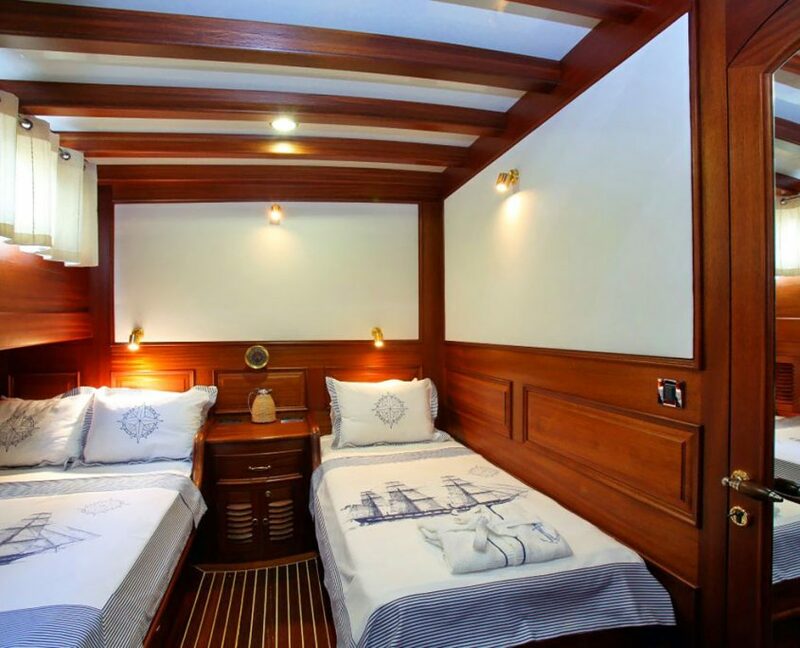 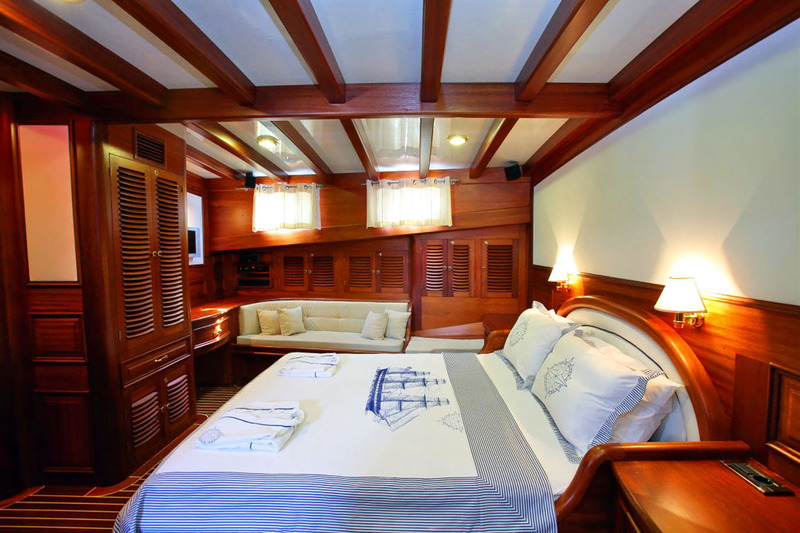 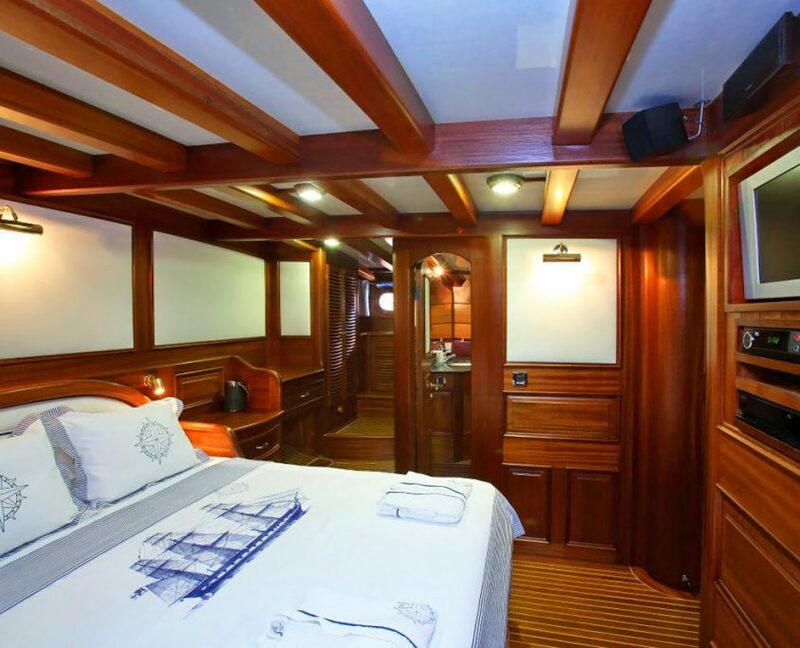 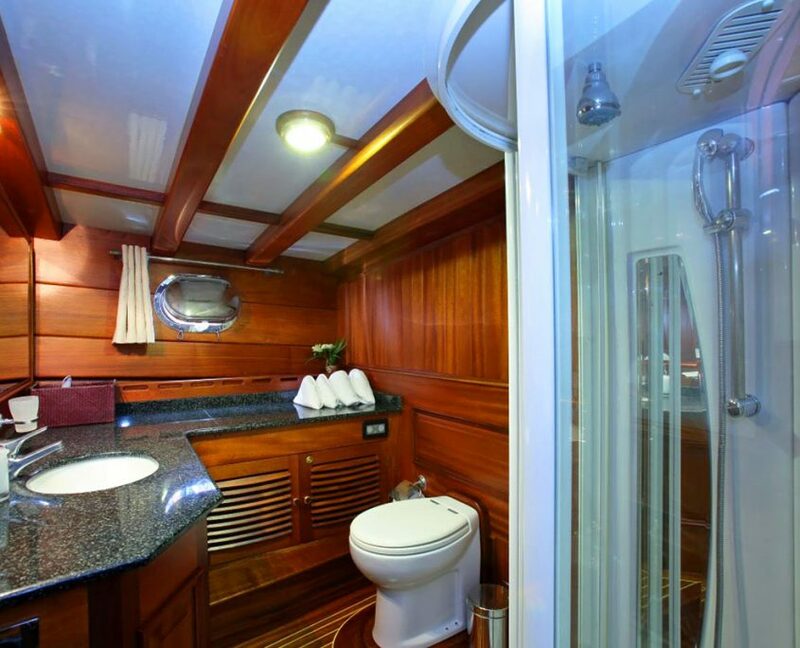 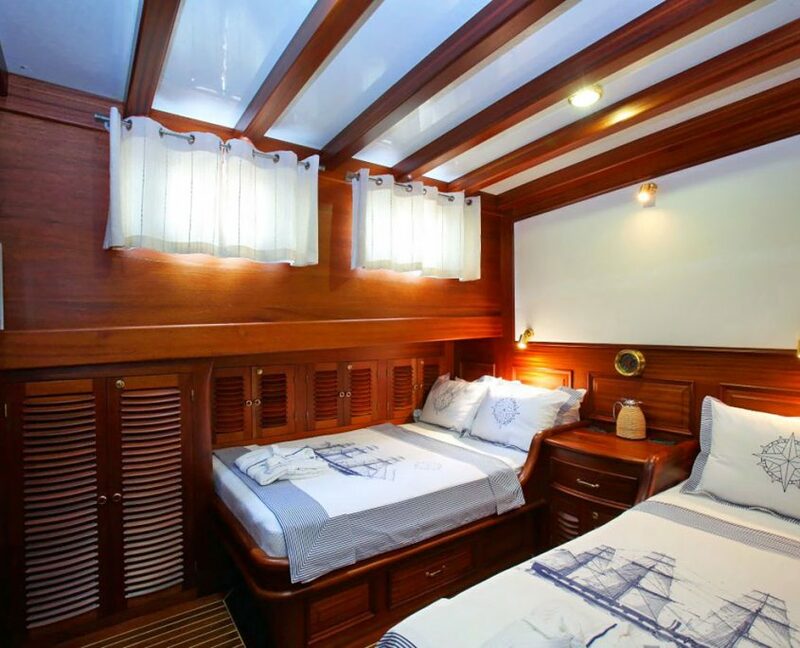 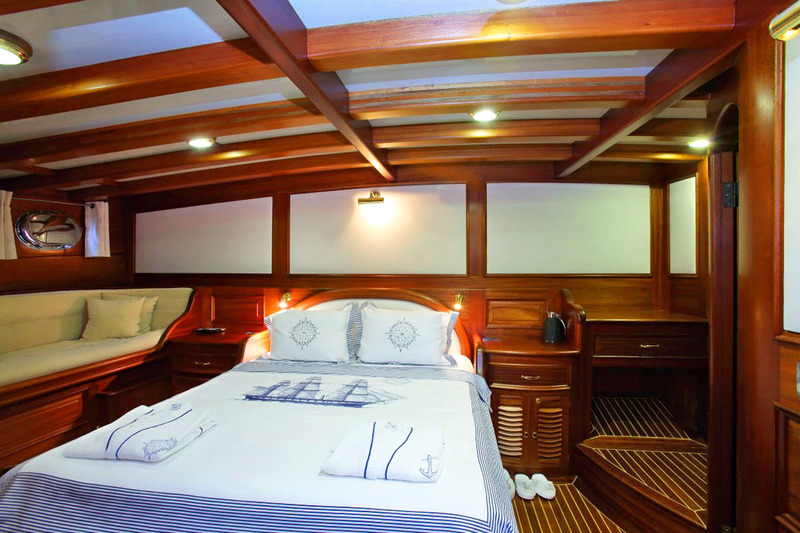 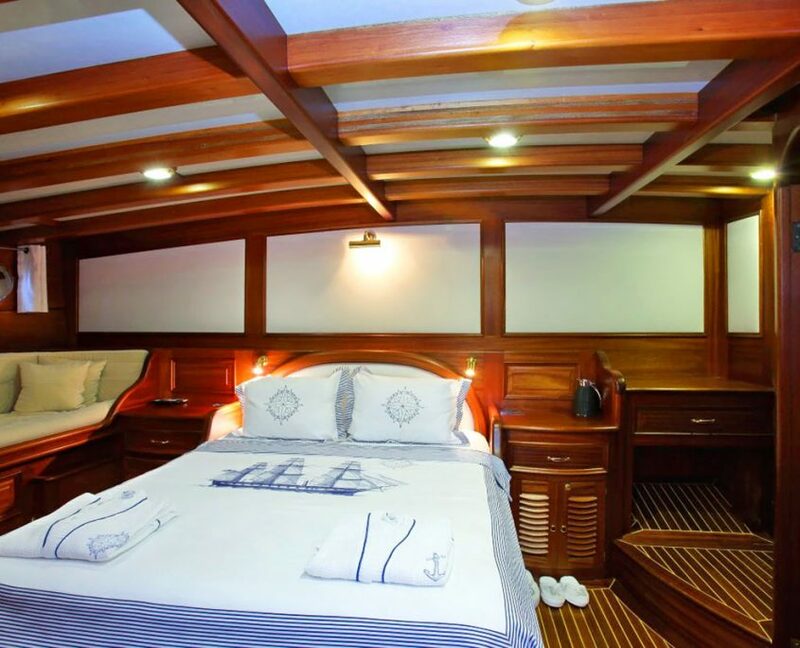 There are six large cabins, two master, two double and two twin berths, all with newly renovated ensuite bathrooms with hydro-massage showers. 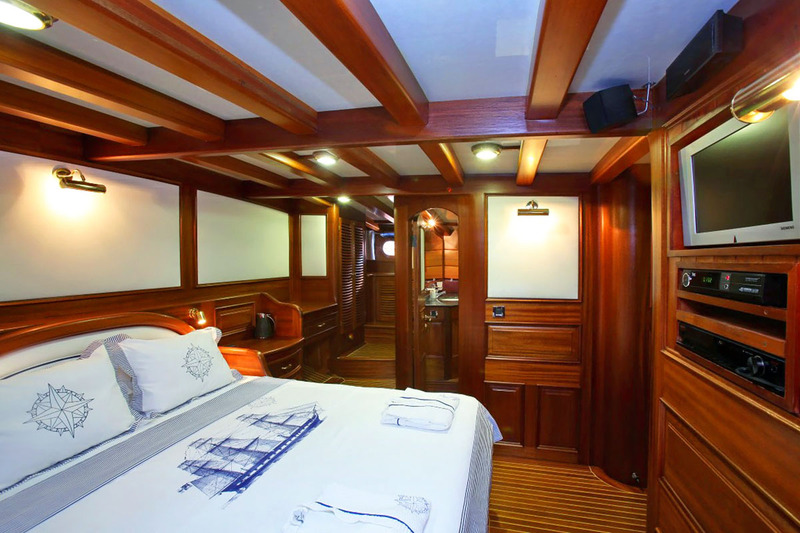 There is a quality sound system onboard, as well as LCD TVs, DVD and CD/MP3 players in each cabin. 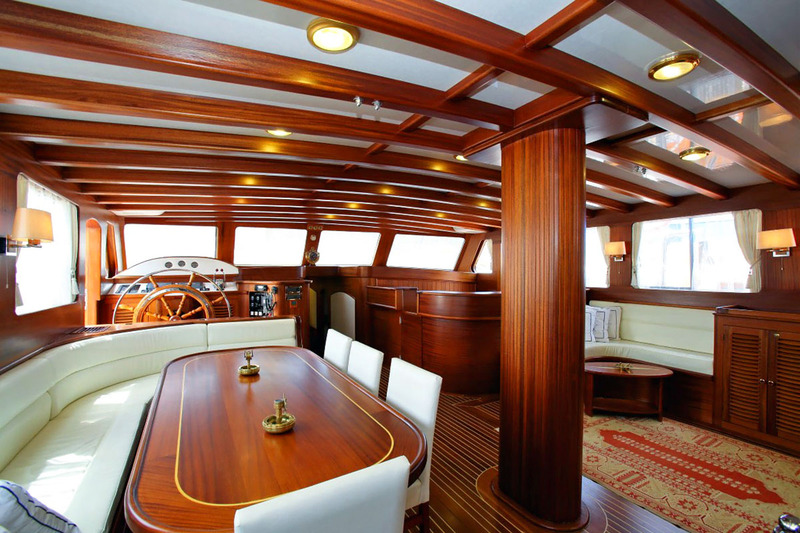 In addition to ample deck space for relaxing, Kaya Guneri IV caters to active types, with a selection of water toys onboard, such as jet-ski, kayaks, windsurfer, paddleboard, tender with 100 hp engine for waterskiing, wakeboarding and banana rides, for lots of charter fun. 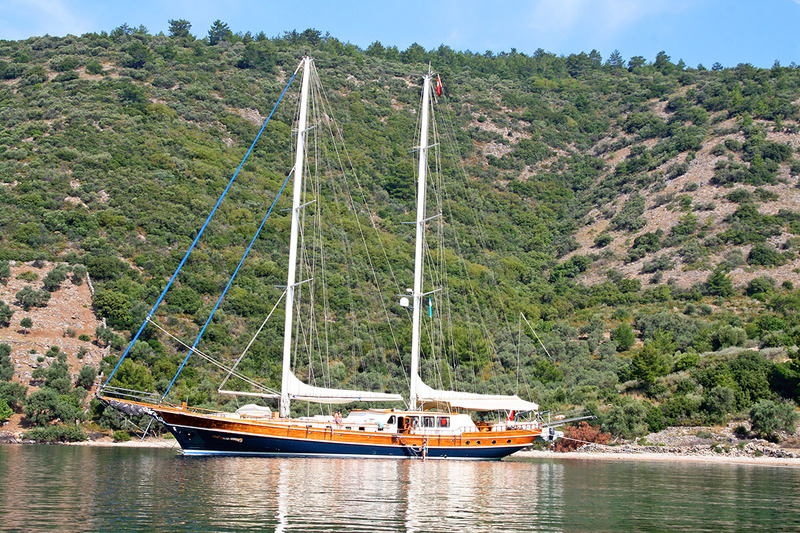 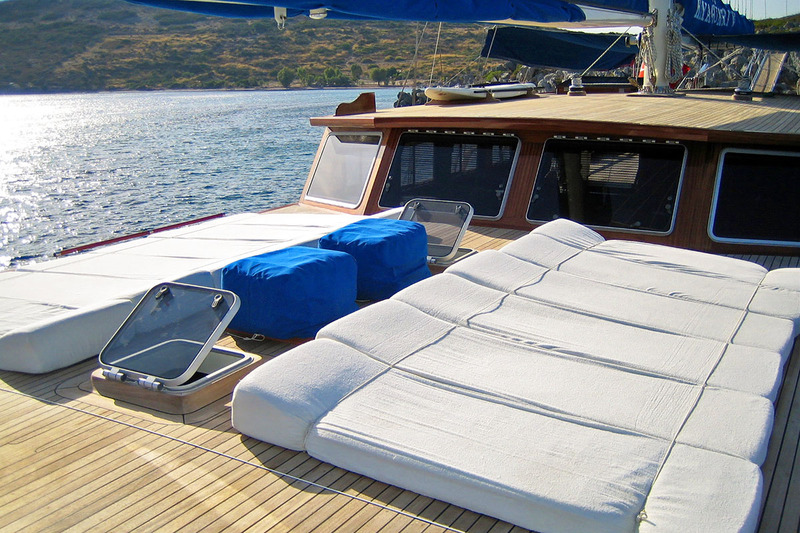 Her six dedicated crew keep gulet in immaculate condition and ensure each charter is an exquisite experience. 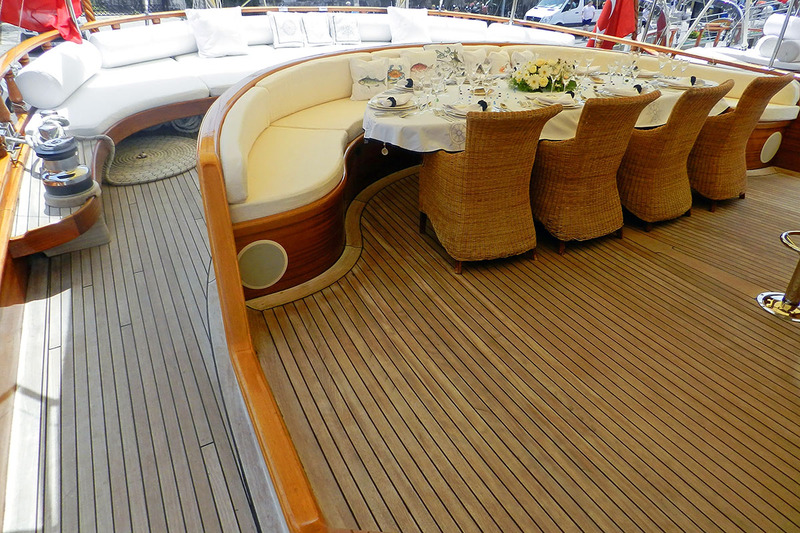 DinghyTender with 100 hp engine. 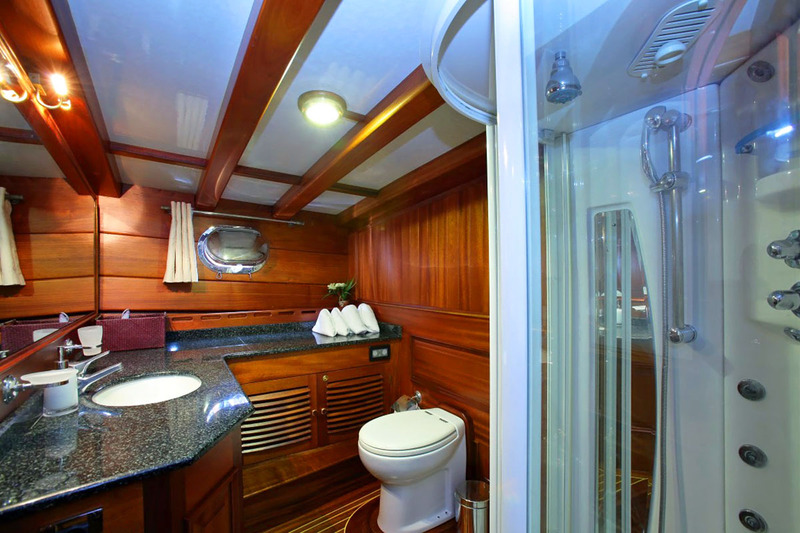 Music SystemMusic system in cabins, Music System in saloon.